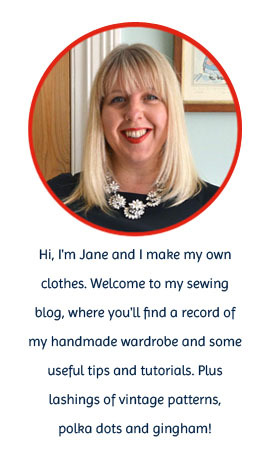 To everybody who has left comments on my blog this year, followed me on social media, offered sewing advice and tips, extended compliments, sent me emails, sewn alongside me or met up for the odd coffee or cocktail …..THANK YOU!! I'm so incredibly grateful for the support and friendship of my readers this year, I really am. 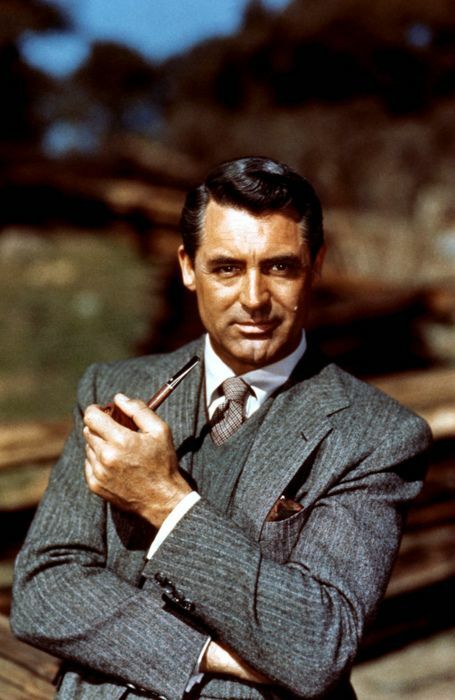 My husband is not a tie-wearing man. In over twenty years, the only times I've ever seen him wear a tie have been at weddings and funerals, so why would I ever make him one?! 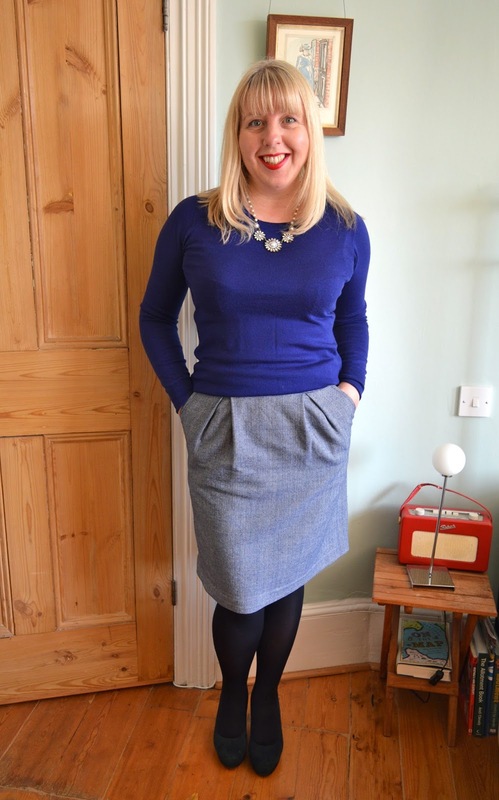 Well it sort of happened by accident... A few weeks ago I was invited to a sewing afternoon to celebrate the opening of the new Sew Over It shop in Islington. My youngest had been struck down with a sick bug the whole weekend, so by the time Sunday afternoon came around I totally forget to bring a project to work on. Lisa kindly suggested a few quick makes, one of which was making a tie. I had some vague idea that I could give it to my father-in-law or my son's teacher and set to work. I used the Sew Over It Tie Making Kit which I recently featured in my xmas gift round-up. The kit includes pattern pieces for the front, back and lining as well as separate pattern pieces for the domette, which is the fleece-like interfacing used in ties (no, I didn't know that's what it was called either!) The domette fabric is also included in the kit. I chose a navy polka dot cotton for the main tie (naturally), and a light blue polka dot cotton for the lining. 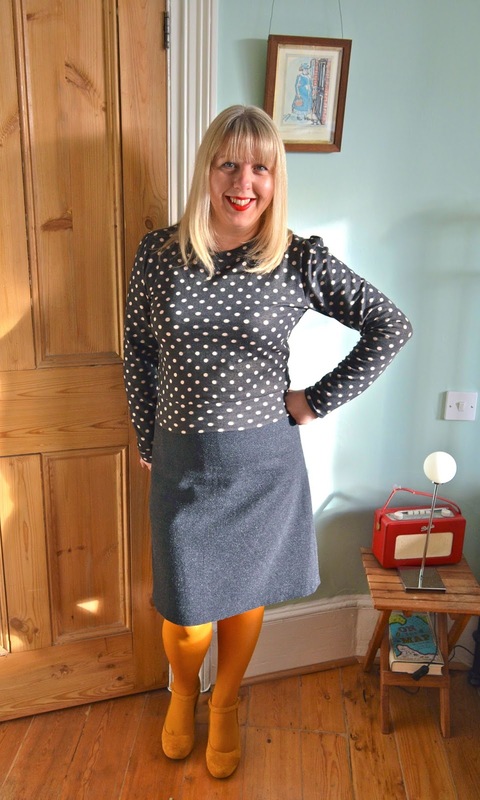 As the tie pieces are cut on the bias, polka dots probably weren't the wisest choice as they're now all in straight lines rather than at an angle! The front and back sections are attached together and lining sections added. This is all done by machine and takes no time at all. The domette pieces are then positioned down the centre of the tie and the sides pressed inwards. The long seam is then slip stitched and that's it! I didn't slip stitch mine during the sewing afternoon as I was too busy chatting - I finished it at home that night and even though I hate hand sewing, it was a strangely satisfying job! There is a degree of accuracy involved in pressing the sides inwards and getting a nice sharp edge at the tip of the tie. I'm sure if the Tie Police saw my sorry effort they'd lock me up and throw away the key, but I'm pretty pleased with it! 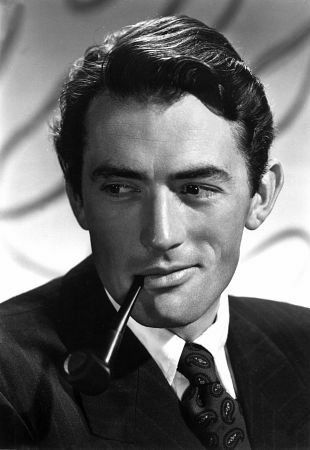 Look, you can barely tell the difference between my tie and a posh silk one from Paul Smith…. 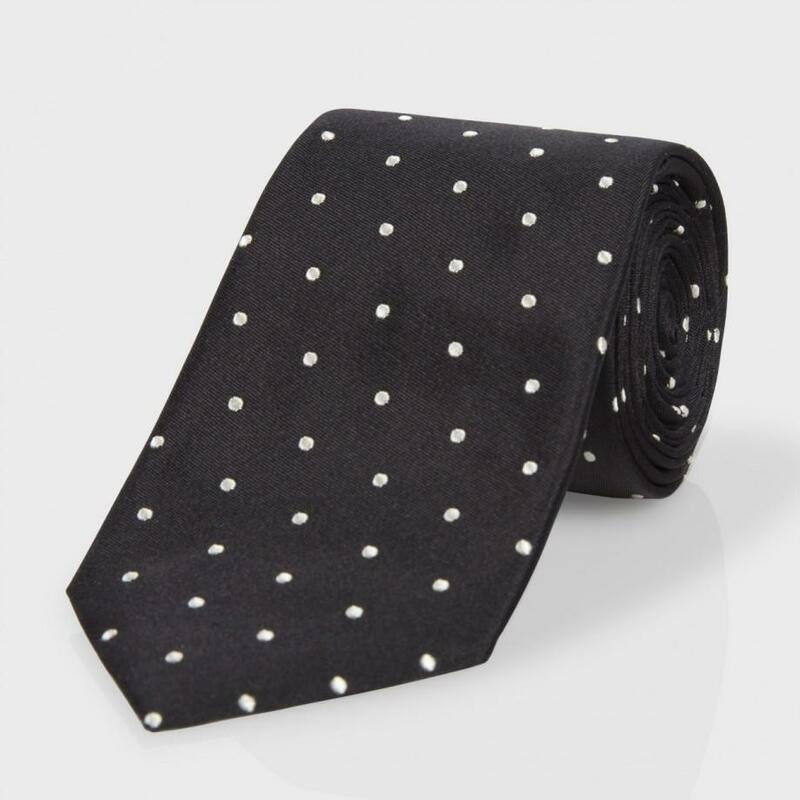 Paul Smith polka dot tie…. Handmade Jane polka dot tie…. When I showed the tie to Jon and asked who we could give it to for Christmas, he immediately pounced on it for himself. Who'd have thought it eh?! 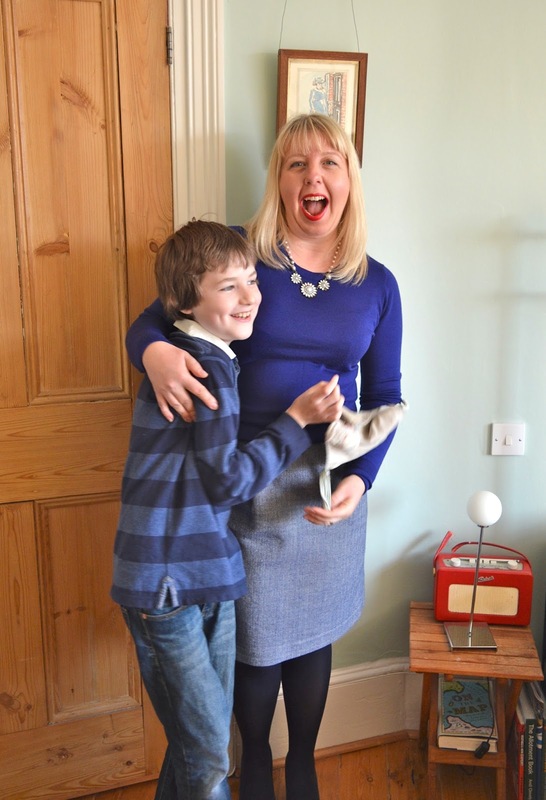 I agreed he could have it for Christmas on one condition….. that he model it for the blog. 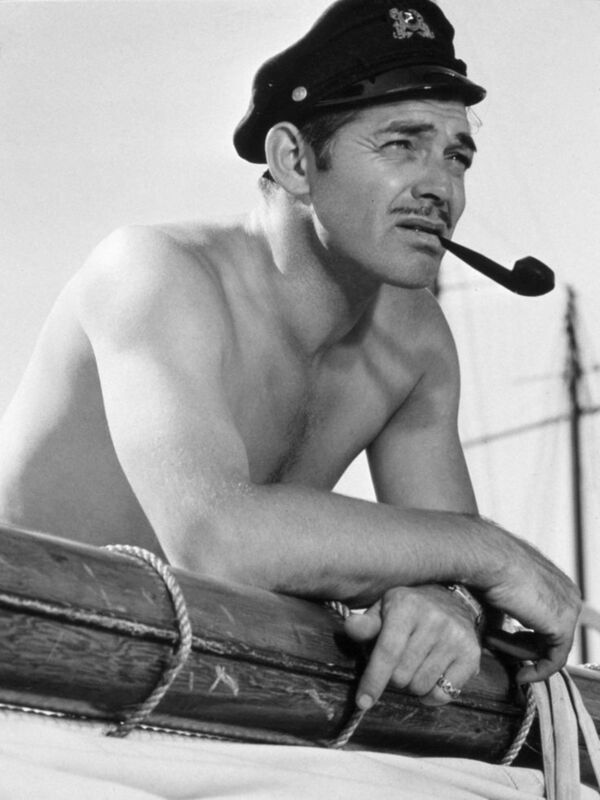 Well, that was like a red rag to a bull, he insisted on 'modelling' it complete with pipe! Sometimes a pattern comes along that just seems to click. It looks exactly as you imagined, the fit is good and it blends in seamlessly with the rest of your wardrobe. That's just happened to me with my first make of the Bluegingerdoll Bonnie Sweater!! It's a vintage-inspired sweater for knit fabrics and comes in three variations with lots of mix and match options. I bought it mid-way through reading Handmade by Heather B's review as I was so impressed with how it looked on her. At that point, it was a new release and only available as a PDF, which just goes to show how keen I was to make it! (I loathe PDFs). For those of you with similar anti-PDF tendencies, you'll be pleased to hear it's now available as a paper pattern (available here in the UK). To be fair, it didn't take that long to tile it together and I only made minimal fitting changes, so I barely felt any pain. 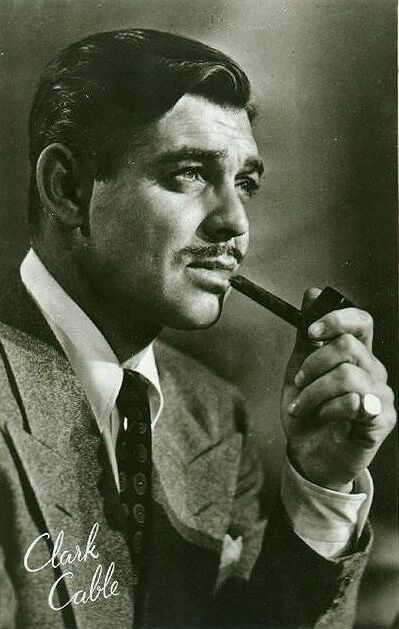 Anyway, back to Bonnie. 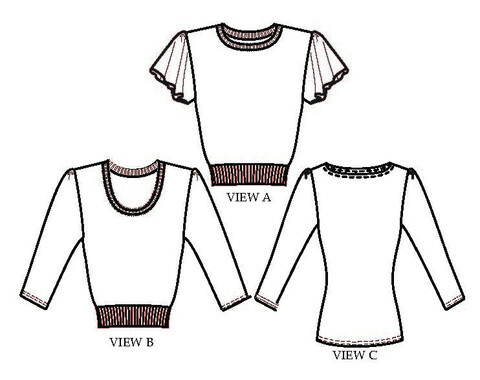 I made View A (the cropped version with the crew neck) with long sleeves and following Heather's example, I lowered the neckline by an inch (adding half an inch to each end of the neckband to make it fit). I also shortened the arms by an inch as I am in fact descended from a T-Rex. Based on the finished measurements, I cut a size 12 at the bust, grading to a 10 at the waist and hips and this was almost a perfect fit. The shoulders seem a tiny bit wide, so I may narrow them to a 10 on my next version, but other than that I didn't make any other fitting adjustments. The cropped bodice section did look pretty short when I was making it, especially before the waistband was added, but I'm glad I didn't make any panic stricken changes as the finished length is really flattering. The side seams narrow at exactly the right place and by some kind of sewing sorcery, make your waist appear tiny. The design has slightly gathered sleeves which was the only thing about the pattern I was sceptical about, but now I've made it, I think they're lovely. They're very subtle and pretty and hardly even look gathered most of the time, just when I'm striking poses or putting my hands in my pockets. For fabric I used a grey poly/wool jersey blend, with cream polka dots, which I picked up from Katie in a sewing swap. It only just had enough stretch to be suitable for this pattern, but I'm so pleased it worked because it's very cosy to wear. Once the pattern pieces are cut out, it doesn't take much more than an hour to put together, it's definitely a quick, easy make. I made it during a sewing afternoon with a few pals and even with constant chat and distractions I still whipped it up in no time. The overlocker was already threaded up with red thread, so I did my usual lazy party trick of just changing the left needle thread. Magic! The seams are grey, but the insides are all red and pretty! I'm currently on the hunt for some good quality wool jerseys or sweater knits to make a few more. I'll probably try the Goldhawk Road first, but if anybody has any online recommendations, please let me know. Need a present for a stitchy pal? 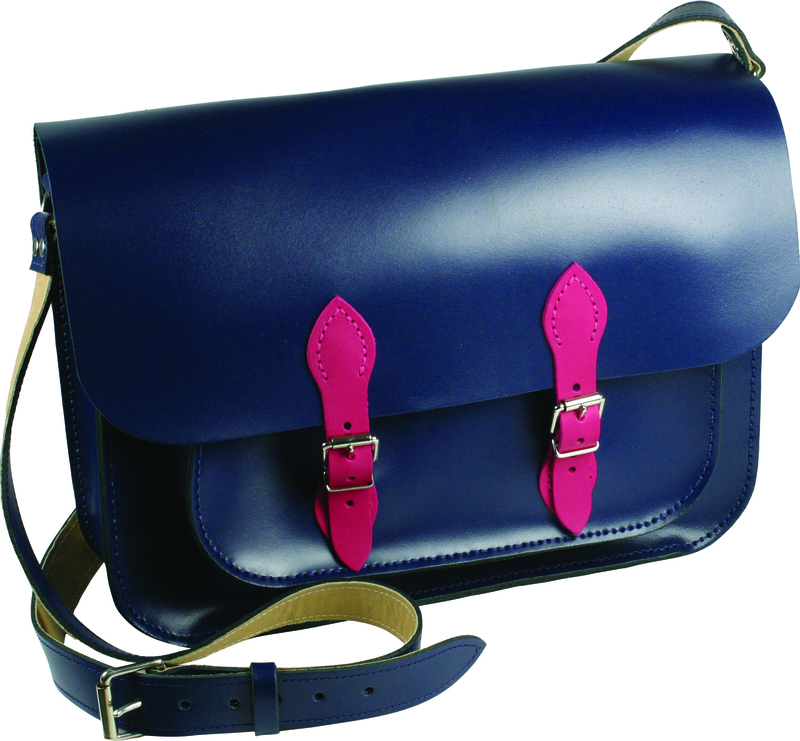 Or just want a few ideas to put on your own Christmas list? Then look no further as I've put together a small selection of my favourites to kick start your present buying. 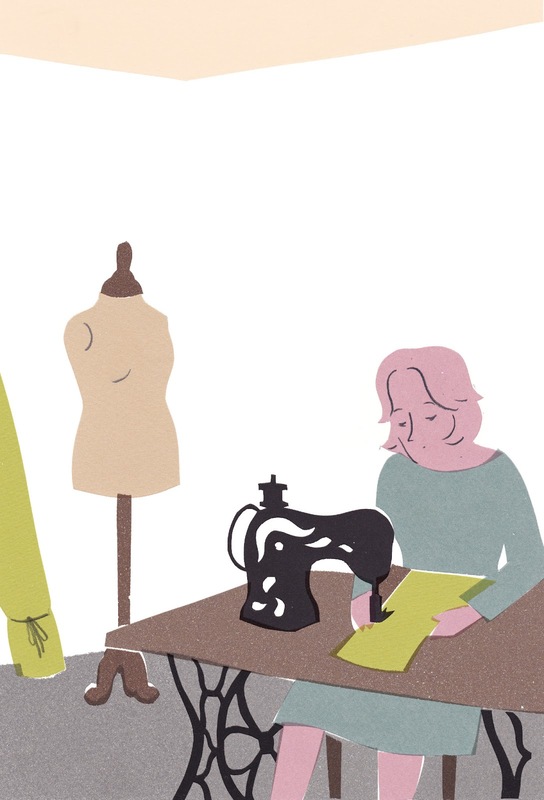 They mostly focus on sewing, with a couple of wild cards thrown in for good measure. 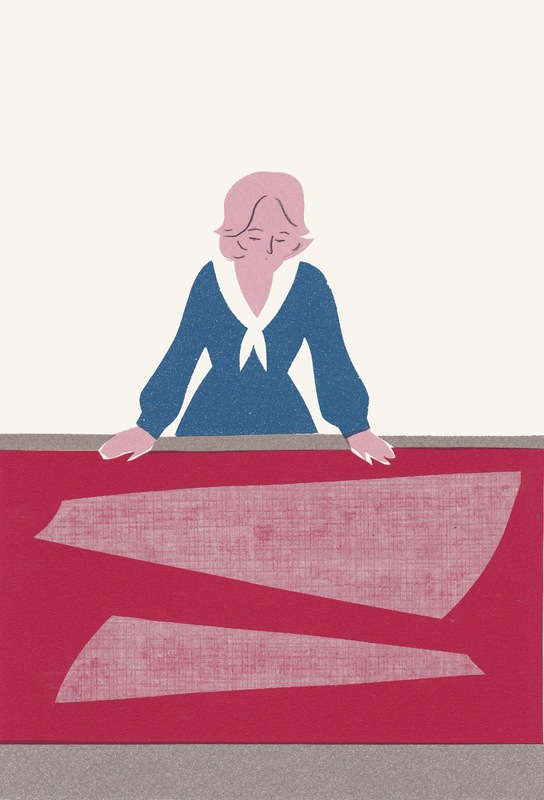 My first choice is rather unusual - two illustrations by artist Anneke Caramin. Anneke created several designs as part of her Masters degree project, but the two below are the ones that really captured my imagination. They tell the story of Josephine, a seamstress, and have a wonderful, old fashioned feel to them - l love the simple style. the muted colours and even the clothes Josephine wears! The illustrations are reproduced onto postcards and I think they would look beautiful framed and hung in a sewing room, which is exactly what I'm going to do with the two I've just ordered. The rest of the designs in the collection can be found on this post and you can email Anneke here to order them. 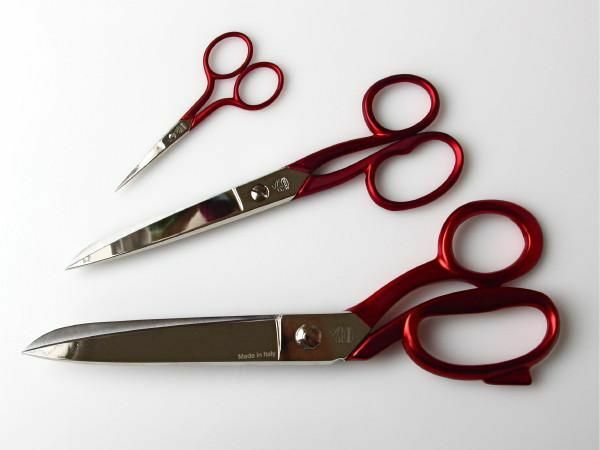 On with the list… Well designed dressmaking tools often go down a treat and I'm always on the hunt for good scissors. These steel scissors from Italy definitely look the business AND they have red handles! The 20cm Soft Touch Shears are particularly appealing because they seem light to use - good if you've got rubbishy weak wrists like me! I was introduced to this little Pattern Notcher tool on my Pattern Cutting Course and it went straight onto my Christmas list. 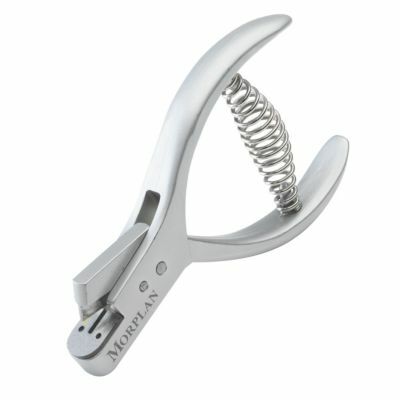 No more fiddling about snipping or marking notches. 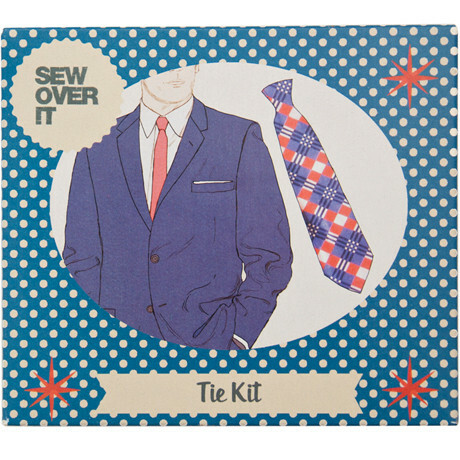 Whilst we're on the subject of sewing kits, the Tie Making Kit from Sew Over It could come in useful for whipping up presents for the men in your life. I tried one out recently and it worked! You'll need to do a mixture of machine sewing and hand sewing to make the tie and the result is seriously impressive - look out for a blog post on it soon! Or if you just want a satisfying fabric fix, nothing beats Liberty fabric in my opinion, especially Tana Lawn. 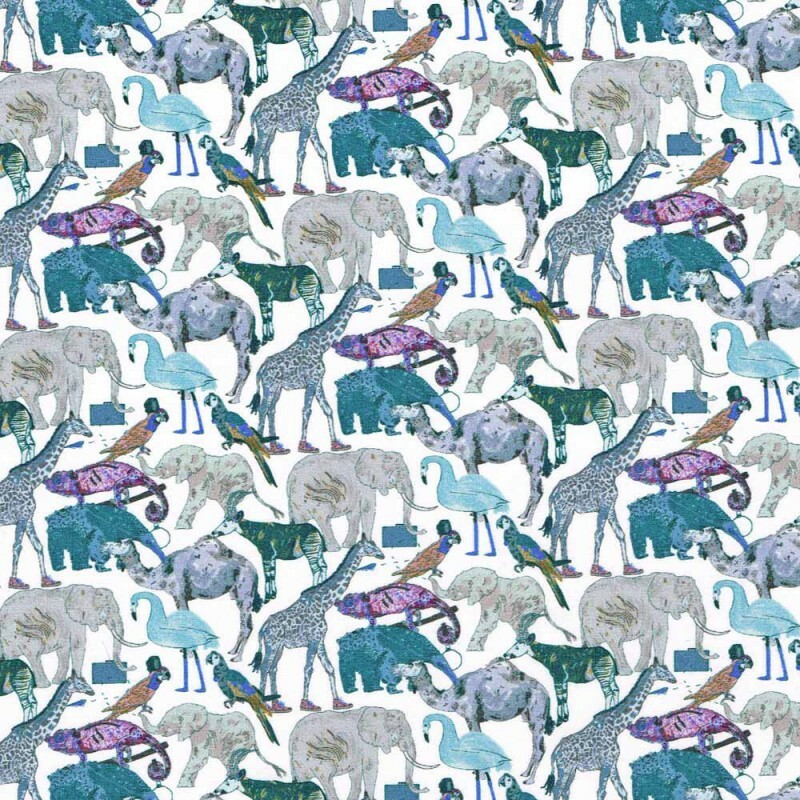 How wonderful would a dress made from this Queue for the Zoo fabric look?! 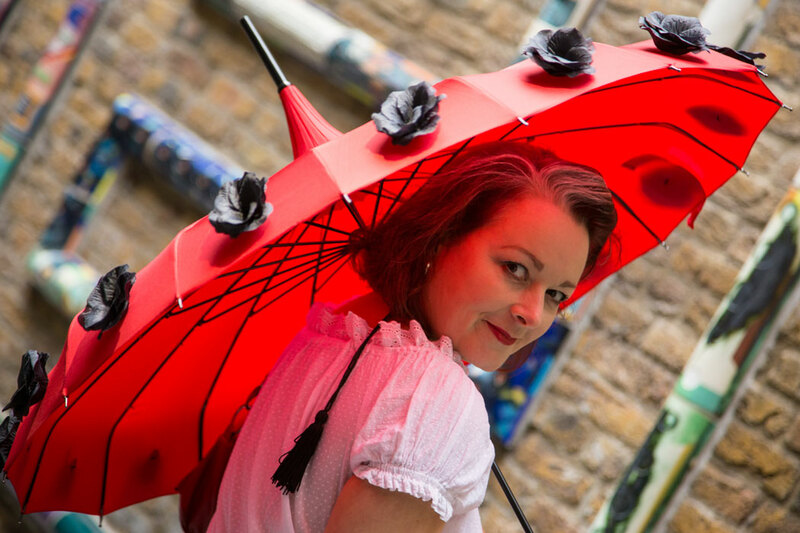 And finally, nothing to do with sewing but I had to put it on this list because I love mine so much - a super-fancy umbrella from Love Umbrellas. I won my red one with black flowers in a very generous giveaway by Vicki Kate Makes (thank you again Vicki!) 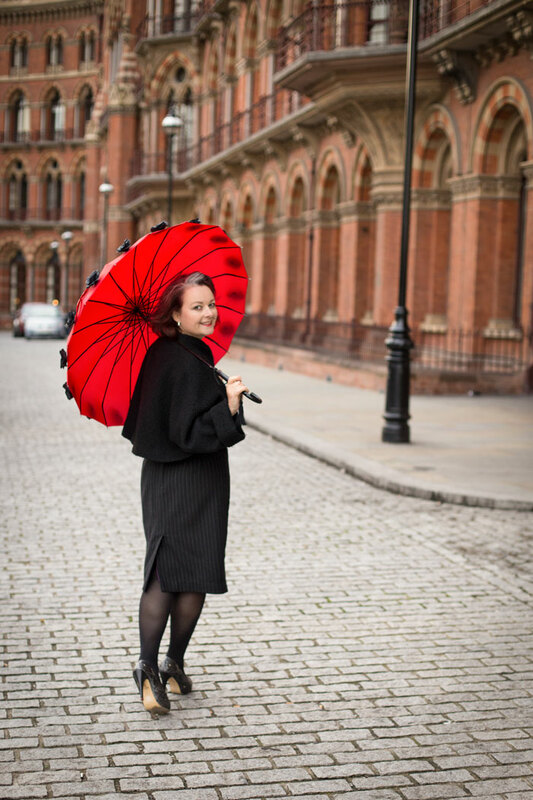 As well as looking divine, it's actually the best performing umbrella I've ever had. Janene from ooobop has the same one, so I'm using her photos to illustrate it as they're much better than the ones on the website! I hope you find something to inspire you amongst this little lot. If you have anything special on your own present list that I should know about, please do share in the comments! Happy shopping! 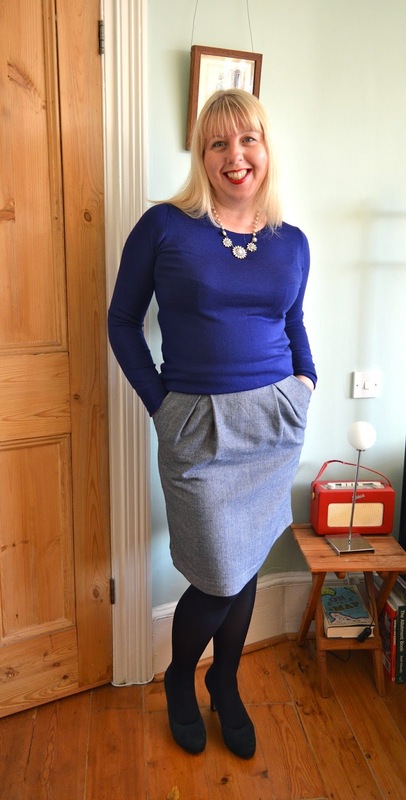 I was decidedly on the fence when I made my first Kelly skirt, but it's since become one of my most worn me-made separates. Who'd have thought it?! In fact I like it so much, it was the starting point for my latest skirt. I say 'starting point' because it veered totally off piste during its creation, but the bare bones are definitely from the Kelly pattern, so the name stays. A lot of the changes were purely down to necessity because of my fabric choice. Well, not necessarily my fabric choice, more my lack of yardage. I bought a metre of this Organic Cotton Herringbone from Ray Stitch during my pattern cutting weekend thinking it would be perfect for a simple A-line skirt. However, between buying it and gearing myself up to cut into it, I changed my mind and decided it had to be a Kelly skirt. The trouble is, the Kelly skirt pieces are quite wide because of the pleats, and the pattern requires slightly more than a metre. I managed to cut my first version out of a metre by placing some of the pattern pieces upside down, but the herringbone design is directional, so that wasn't an option. In the end, I decided to keep the pleats in the front of the skirt, but not in the back. I also couldn't be bothered with all the buttons and buttonholes, so decided to lose the button placket and add a central back zip instead. To do this, I followed Busy Lizzie in Brizzy's tips from this post. I cut the front piece on the fold, using the buttonhole markings as the centre front seam and the back as two separate pieces, adding a seam allowance to the fold line for the zip. 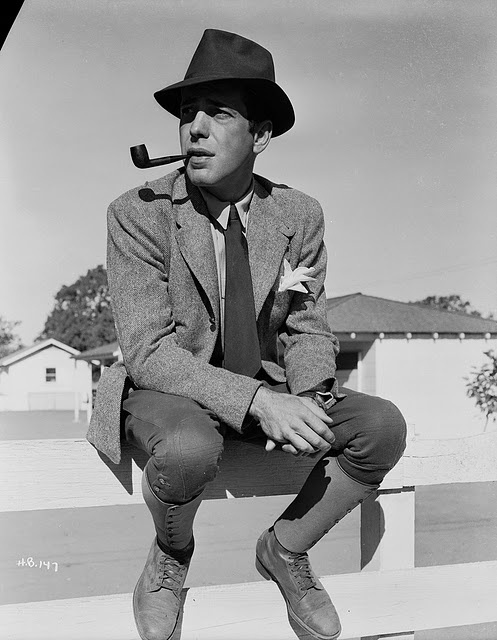 Behold, no buttons or placket! I didn't have room to cut the pocket facings in the same direction as the rest of the skirt, so they face the opposite way. I'm calling it a design feature. I even managed to include some scraps from my Chambray Bow Blouse for the pockets, yay! The herringbone fabric is pretty heavyweight, which is great for holding a pleat, but also means it's quite scratchy against the skin, so a lining was needed. I used navy satin left over from my Lace Laurel top for the lining using this tutorial. When adding a full lining, you can often get away with not finishing seams as they're all hidden away, but not in this case! Both fabrics frayed terribly, so all seams were overlocked to within an inch of their lives. I did make quite a major error at the cutting out stage - I folded the pleats in on the the back pattern piece, but really should have added more width for my backside. 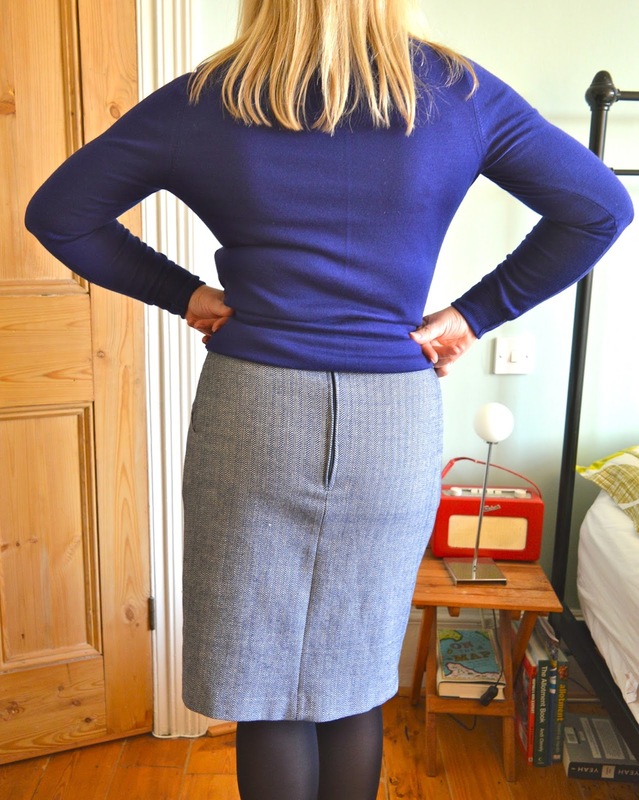 The back is now very slim fitting across the bum - almost like a pencil skirt. 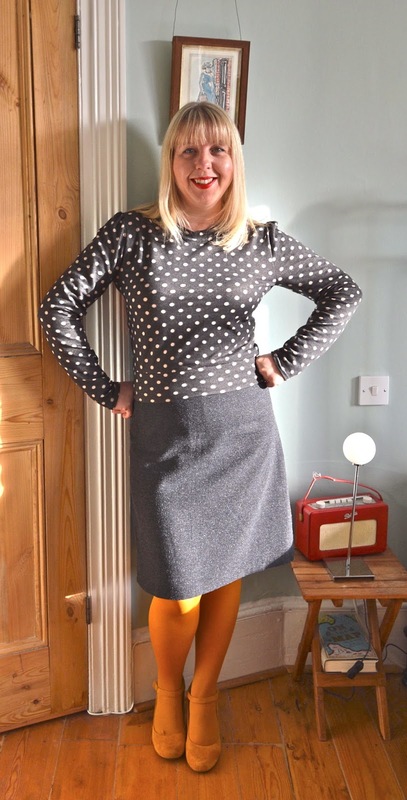 In fact, the finished skirt looks more like Simplicity 2451 than a Kelly skirt - the A-line shape has totally disappeared! Because of this, it's not quite the skirt I was hoping for, mainly because it's so tight fitting across the bum, but that's my own fault for lack of foresight. It's not a total win, but definitely not a fail either. 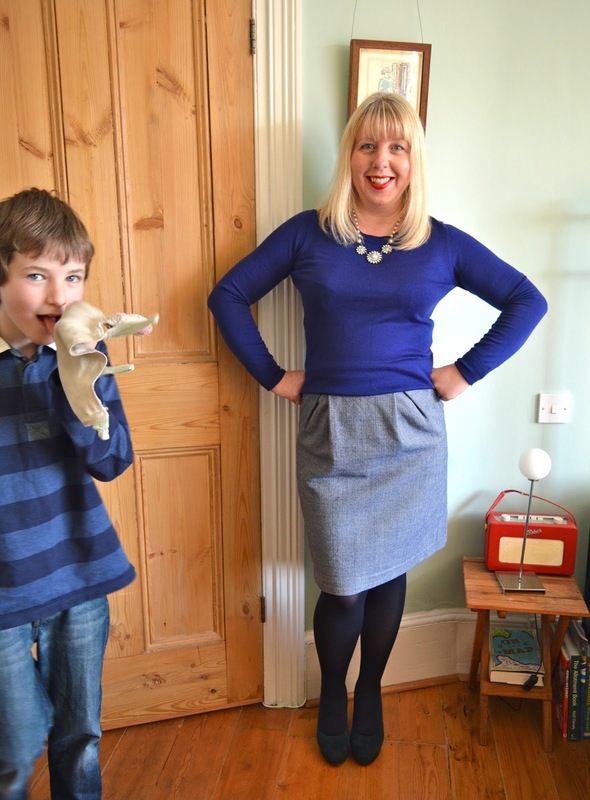 It's still a lovely, cosy skirt for winter and the blue and cream colourway seems to go with every conceivable top and cardigan in my wardrobe. I couldn't resist him, he's too cute!